Northumbrian Fire is run by potter Ian Kille, and produces beautiful hand crafted stoneware inspired by the natural and historic landscape of the ancient kingdom of Northumbria. This website is in the process of being built. In the meantime if you would like to know more about Ian’s work you can contact him by email ian@iankille.co.uk or by phone 01289 309503. Ian has had a lifelong fascination with clay and pots and has now begun a more intensive journey of artistic exploration. He initially studied at the Raynes Park Institute for lunchtime ceramic distraction. Following an extended period of creative stranding he continued his studies at St Albans Art College. After moving to Berwick-upon-Tweed, he set up his own studio as part of Northumbrian House, and has created a distinctive range of mugs, bowls and butter dishes as well as working on various commissions, most recently creating flocks of little terns for Natural England and the RSPB to help encourage them to nest. 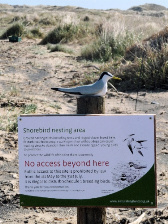 We love Ian's work especially the terns. They look so lifelike. Copyright © 2015 Northumbrian Fire. All Rights Reserved.